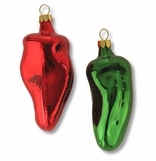 All of our Mexican Christmas ornaments and decorations are hand created by folk artists working in painted tin, clay wrought iron and hand blown glass. 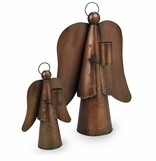 Each ornament, angel and nativity set is a fantastic work of art that will make a great gift for the holiday season or add a festive and colorful addition to your own holiday decor. 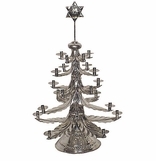 Have fun creating a rustic or southwest holiday theme that will bring the warmth and spirit of Mexico to your home. 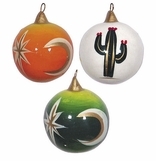 As with all of our hand crafted folk art items, expect some variation in size and color to these uniquely designed ornaments and decorations. 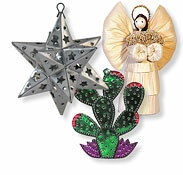 Click on the sections below to see our wide variety of Mexican Christmas decorations available.